Today’s blog post is from my friend, Jennifer, who stepped out in faith to do what she felt God called her to do as a Mom. Let me first say that choosing to work outside the home or to be a stay-at-home Mom is a family decision and I know Godly women who do both! 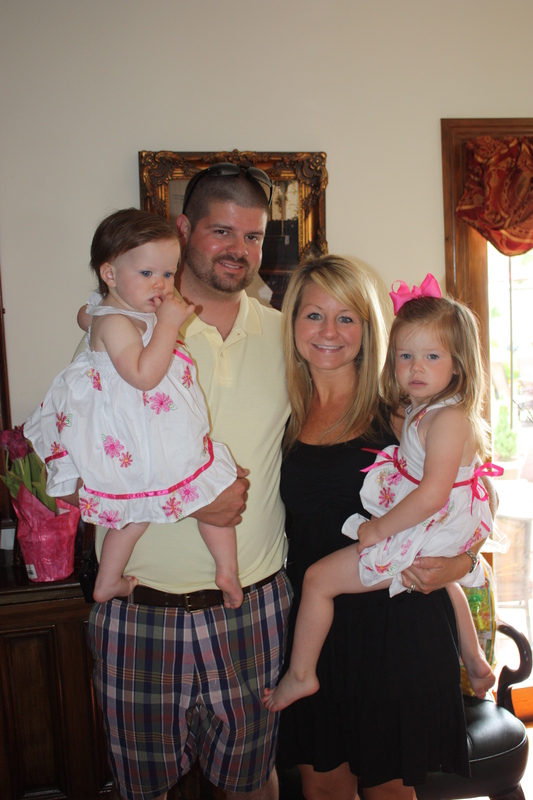 This posting is not to discourage working Moms, for my goodness–I am one of those! Instead, this posting is an example of real-life, practical faith and obedience that will hopefully challenge and encourage you to listen closely to God’s call on your life. May we be brave enough to step out of our boat! This is my story of following God’s calling, being obedient and having great faith. Faith that required me to get out of my comfort zone and trust God fully with my life. It all began after having my first child. As many mothers do, I had a strong desire to stay home with my child. I could not fathom letting someone else care for my precious baby! However, as I prayed and listened to God’s guidance, I realized the timing was not right. So for three more years, I pressed on in my job. And during those 3 years, I had another precious little girl. As I continued to work, my heart still went out to my children and my duties at home. I continued to pray for God’s will be done in my life. Not my own will or desires. I asked God to place the desires in my heart that were His, for His dreams to be my dreams. The desire to stay home kept pressing on my heart. It the middle of the night one night, the Holy Spirit spoke to me so clearly. As I looked at the small, flawless face of my little girl, the Spirit told me that I had missed three years of her life, and I was not to miss another year. I walked out of her bedroom door and cried. For I knew it was finally time to be home with my two girls. As I prepared to quit my job, I faced much criticism and questioning from friends and family. It was very difficult for them to understand me quitting an amazing job that gave me financial security, flexibility, wonderful benefits and much more. And I will admit that it was also hard for me to wrap my head around how this was all going to work out and how could my husband financially support us. But this was a not a crazy idea I had, it was a definite calling from God and I knew I had to be obedient to what He had called me to do. Over the next nine months of preparing for this decision, my heart turned strongly to home and to my children. I was motivated on the weekends when I was able to be home and care for the things of the home and be a helper to my husband. The pressing on my heart was strong and clear. My husband and I spent much time praying and seeking God’s unfailing Word. I had my moments of being completely paralyzed by fear. Fear of if we can financially live off one income. I didn’t want my husband stressed each and every day trying to make ends meet. I was scared I would not be able to handle this job. Do I have the patience and wisdom to care for these two small children’s needs each day? Can I have self-control in my spending and live on a tight budget? But every time the devil came to attack my thoughts and get me away from God’s plan, I came back with God’s word as my sword and shield. I knew that worrying was telling God that I didn’t trust Him. And oh, how I trust Him with every detail of my life. During these months of planning and preparing to quit my job, I learned to pray to Him, instead of worrying. I trusted that God would never ask me to give up something unless he had plans to replace it with something even better. God’s word in the Gospel of Luke tells us that working and planning responsibly are good, but dwelling on all the ways our planning could go wrong is bad. I have been a stay at home mom now for eight months now. I clearly see this was God’s plan for my life. This title is much harder than my previous career. Each day is a challenge and an opportunity to trust and rely on God’s wisdom as I have two small children who depend on me. Each day I have to rely on God to give me whatever I need for the day. I know God called me home and I’m so thankful for his perfect timing, wisdom, and perfect plan for my life. I encourage you to read Matthew 14: 22-32. And ask yourself if you think Peter was a success or a failure? He did at least get out of the boat and acted in faith. The other disciples did not even attempt to get out of the boat. 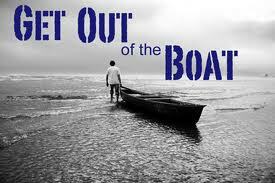 I encourage you to get out of your boat, whatever your comfort boat may be. Follow God’s calling on your life and where he is leading you. Be obedient. Have a spirit of faith and not fear. Trust the God of the universe with every detail of your life! What a beautiful family you are blessed with! And your story is so encouraging and do true! Thank you for sharing!